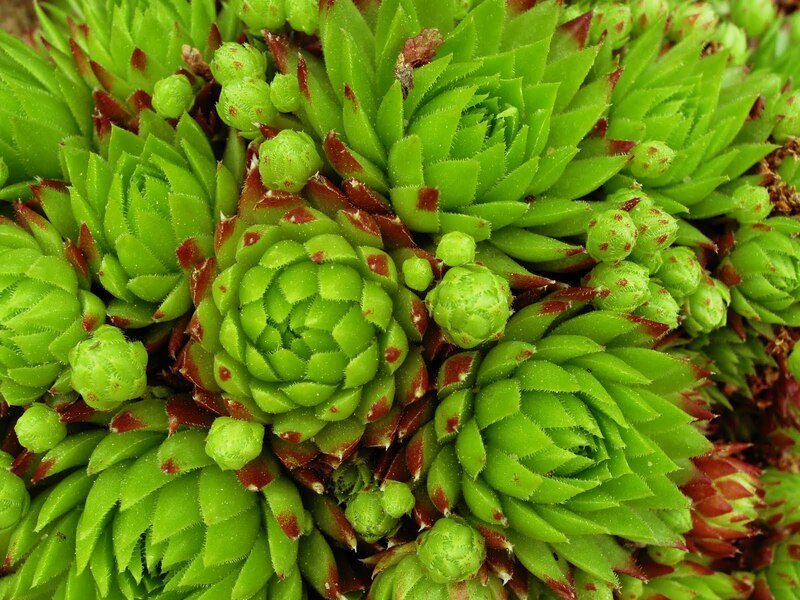 Succulents are fascinating plants; their symmetry, muted vibrance and fleshy tactile quality invite touch. Their ability to withstand sporadic rainfall by storing water in their juicy leaves is what makes them truly valuable in the landscape. Most succulents come from desert or semi-desert areas of the world, though not all enjoy full sun. Many grow in the shadow of rocks, trees, or larger plants, but all evolved into drought-resistant plants capable of surviving with intermittent rainfall. They are tolerant of neglect and have a large capacity for survival under poor conditions. TEMPERATURE: During the growing season, temperature and light should be considered together. Plants requiring some shade prefer lower temps. In winter, most succulents fair well with a nighttime low of 40 degrees F with daytime temps in the 60’s. Many, particularly those from mountainous regions, can withstand much greater cold (even freezing) if kept fairly dry. They may even flower more as a result. This group can be planted outside as permanent landscape features as long as they have good drainage. On the other end of the scale are low desert and coastal area plants, such as iceplants and melon cactus, which prefer a winter minimum of about 60 degrees F. These types need protection from frost and freezing temperatures. SOIL: Whether in containers or in the ground, soil should always be well-draining. Many mixtures work, including soil-free mixes as long as there is sufficient coarse material such as grit, lava rock or perlite present to enable excess water to drain away quickly. We recommend EB Stone Cactus Mix. Repot annually for young plants, less often for slow-growing and larger plants. Spring/fall is best for replanting. WATERING: Cacti and succulents need ample water during growing season (late spring to fall). This varies from daily (if in full sun) to once or twice a week for plants in larger containers and partial shade or in the ground. Leafy kinds need more water than the swollen-stem kinds. In winter, limit water to an amount sufficient to prevent shriveling. Thin-leaf succulents and Epiphyllums are exceptions and should be kept moist year-round. FEEDING: A once-or twice-annual application of a slow-release food such as Osmocote, or monthly with a weak solution of liquid fertilizer such as GrowMore Cactus Juice or Schultz Cactus food. 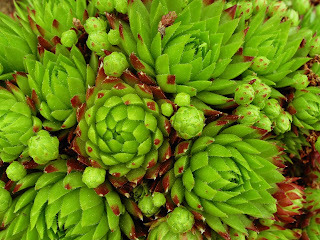 2 comments on "Basic Succulent Care"
How do you care for succulents with diseases or fungus? Most diseases and funguses on succulents is caused by excessive moisture, especially during periods of cold. Basal stem rot can be prevented by applying a layer of grit (sharp sand or gravel) on top of potting mix or ground to keep this portion of the stem dry. It also helps to keep cacti and succulents on the dry side during winter months. Sometimes lesions and sunken spots occur due to spores invading wounds caused by sucking insects such as mealy bug or cracks from sunburn. Sometimes, the sudden collapse of a succulent is the first inkling that mealy bugs were/are hiding within the leaf margins! Powdery mildew can occur if there is too much moisture, higher humidity and too little sun. To cure rot type fungal disease, it is often necessary to excise the affected pieces away, usually well within healthy tissue. Reduce watering and dust the affected area with sulfur dust. Plants that have rotted at the base can often be cut off, allowed to dry out, sprayed with copper sulphate or treated with sulfur dust, and replanted.